Simon & Schuster, 9781416500292, 304pp. Climb aboard for the swashbuckling adventure of a lifetime. 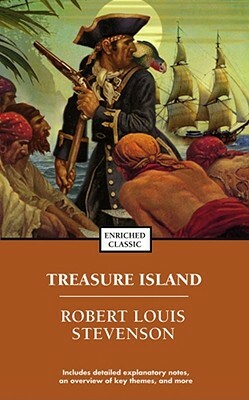 Treasure Island has enthralled (and caused slight seasickness) for decades. The names Long John Silver and Jim Hawkins are destined to remain pieces of folklore for as long as children want to read Robert Louis Stevenson’s most famous book. With its dastardly plot and motley crew of rogues and villains, it seems unlikely that children will ever say no to this timeless classic.